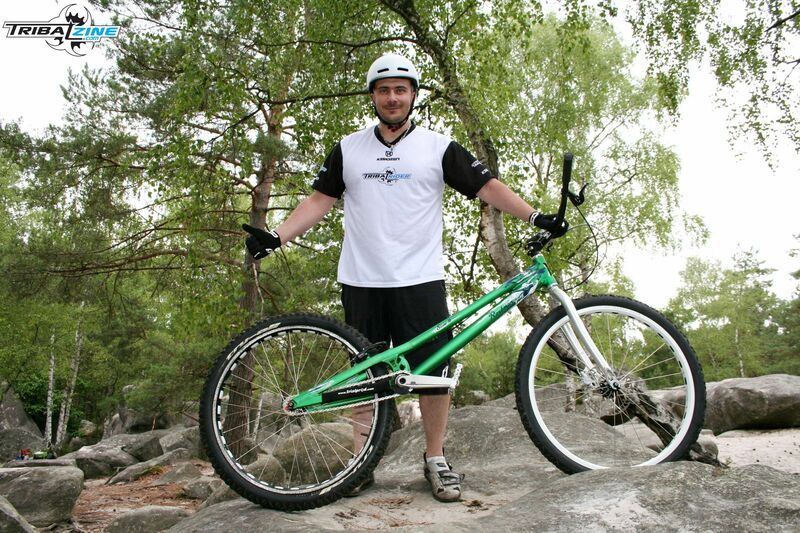 Le boitier titane Trialtech SL au banc d’essai ! 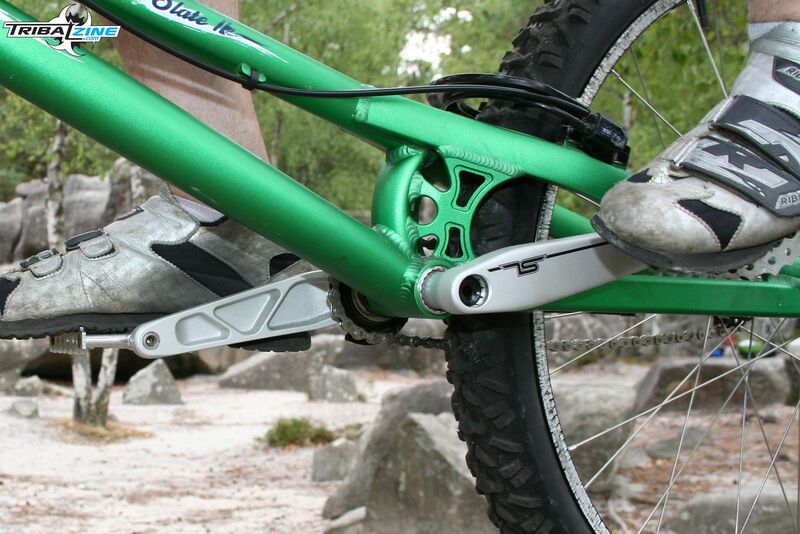 We tested the new ISIS forged cranks from British components brand Trialtech in July; an elegant, super-light and super stiff product of undeniable quality, which entered the market right at the top end as one of the best cranks available (Test: the Trialtech SL cranks). 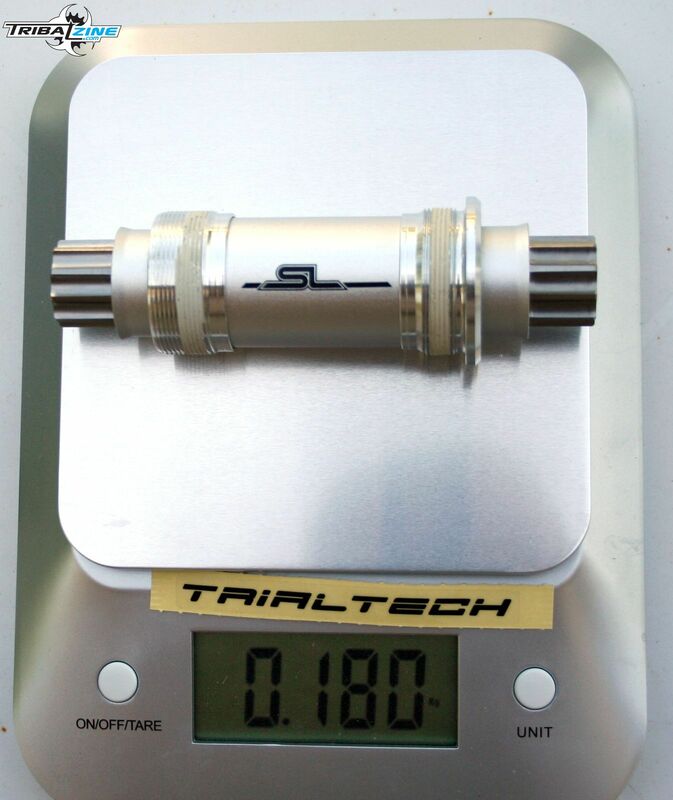 Now here’s a closer look at the bottom bracket that joins them in the top-end SL range, the SL Ti BB, which has been developed, tested and used by the top riders on the Trialtech team, 26" riders Kenny Belaey and TRA and 20" riders Rick Koekoek, Vaclav Kolar and Janine Jungfels. This aluminium BB with a titanium axle positions itself at the top end of the market, in direct competition with the popular Reset BB and its rivals. 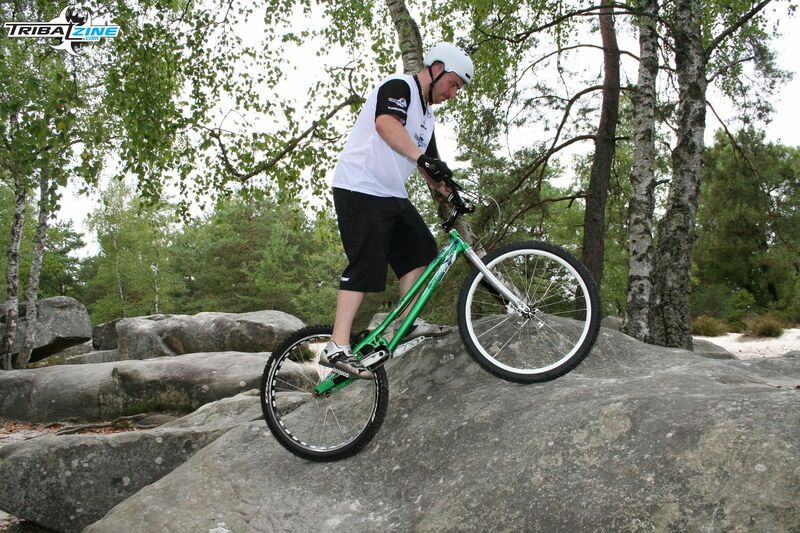 We’ll be using the Reset BB as a reference in this test, brought to you by our components expert Greg Soignon. It’s always nice to open a box and find a product supplied with everything you need to fit it... and more! It’s a really nice touch to supply the BB with the steel fitting bolt and anti-seize paste; a real plus when fitting the cranks to the BB. 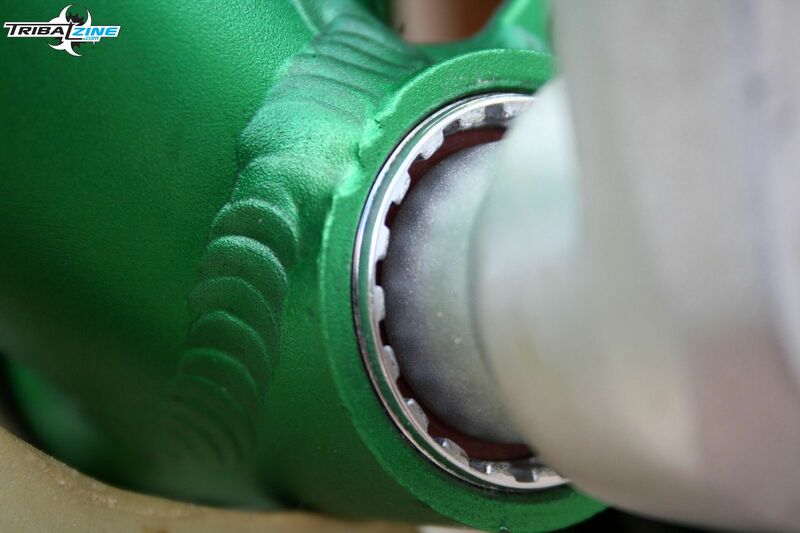 The anti-seize paste avoids direct contact between the titanium and the aluminium, preventing any reaction between the two metals and the ’cold welding’ effect that would see the cranks seizing on the BB. 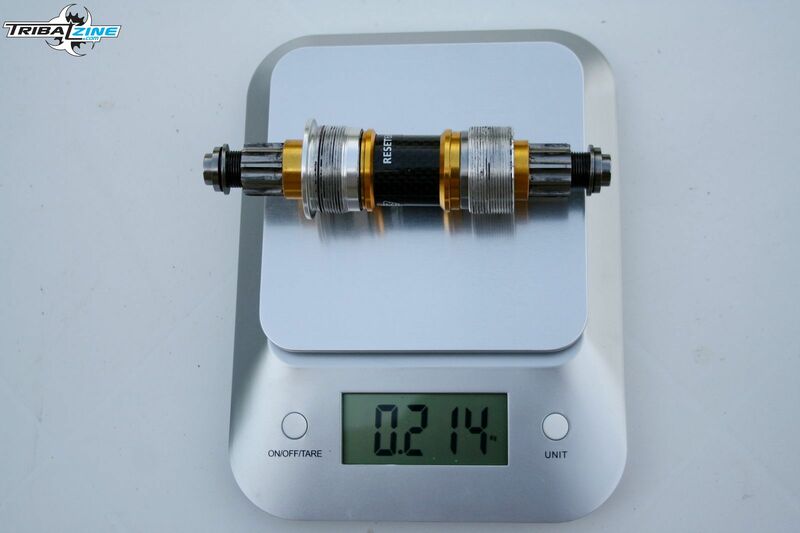 This kind of grease is not always present in tool boxes, even though titanium bolts are becoming more and more common in trials, so its inclusion in the box is very much appreciated. 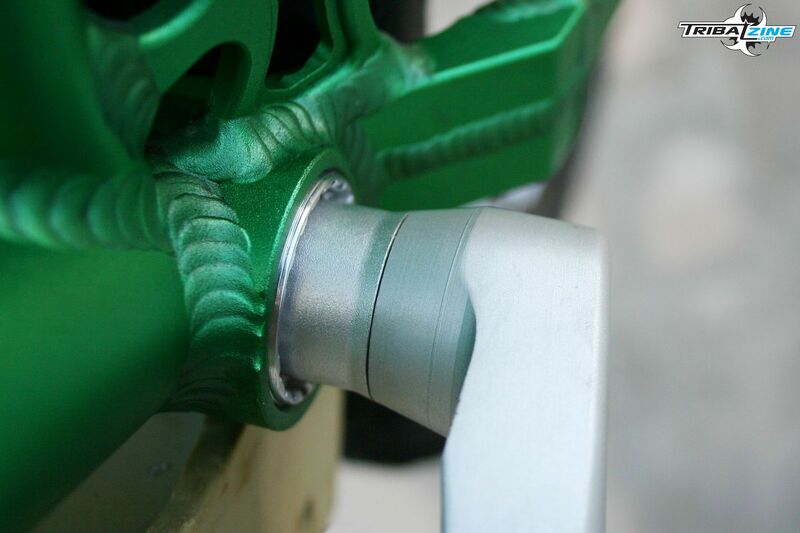 The steel bolt is supplied with a washer to ensure effective tightening without damaging any of the aluminium fittings or bolts; you fit the cranks with the steel bolt then, once it’s properly tightened, you remove it and replace it with the aluminium bolt, which will hold the crank in place. The bolts are even a different shape, so there will be no confusion between the two. Just make sure the steel bolt stays in your tool box or rucksack in case you need to retighten the cranks at any point. The allen key socket runs right the way through the bolts, which means that you will always have good purchase when tightening the bolts. 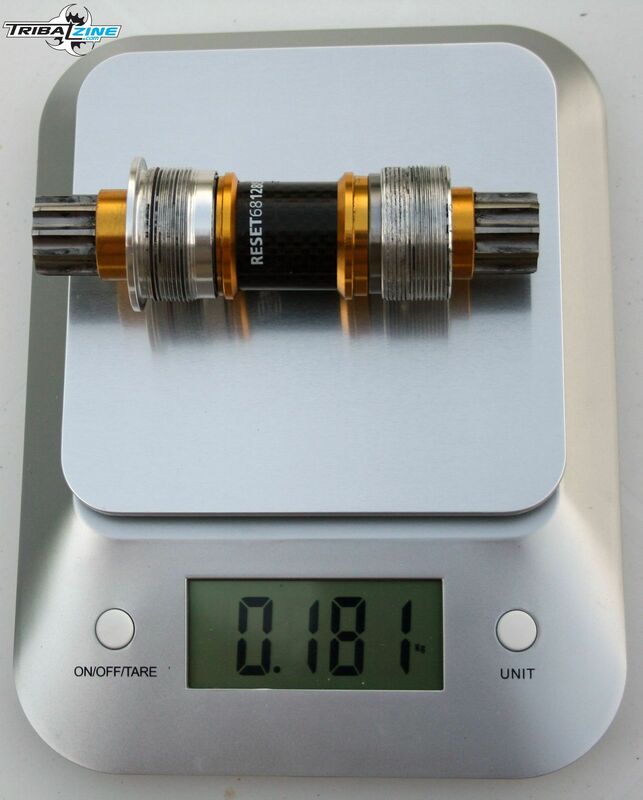 The BB on its own: a round 180g, compared to 181g for the Reset. The Alu bolts weigh in at 15g and the spacers at 12g (2x 6g). 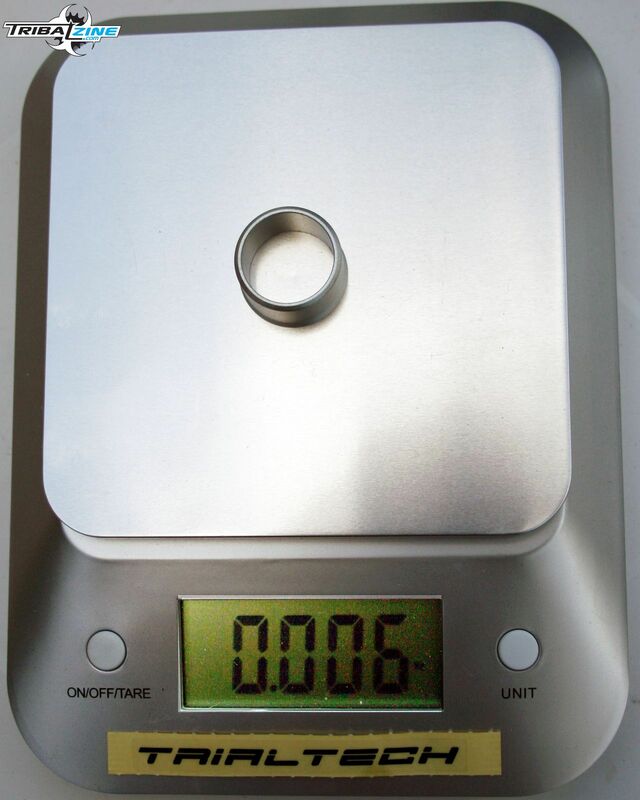 The complete Bb, with bolts, weighs 195g. That’s pretty light! The Reset weighs in at 214g with bolts, so the comparison is good. What’s the difference between the two BBS? The Trialtech BB doesn’t have the carbon body that features on the Reset, it’s a simple one-piece aluminium body with a silver anodised finish and classy SL logo. It could even be machined to save a few more grams and bring the weight down even further. 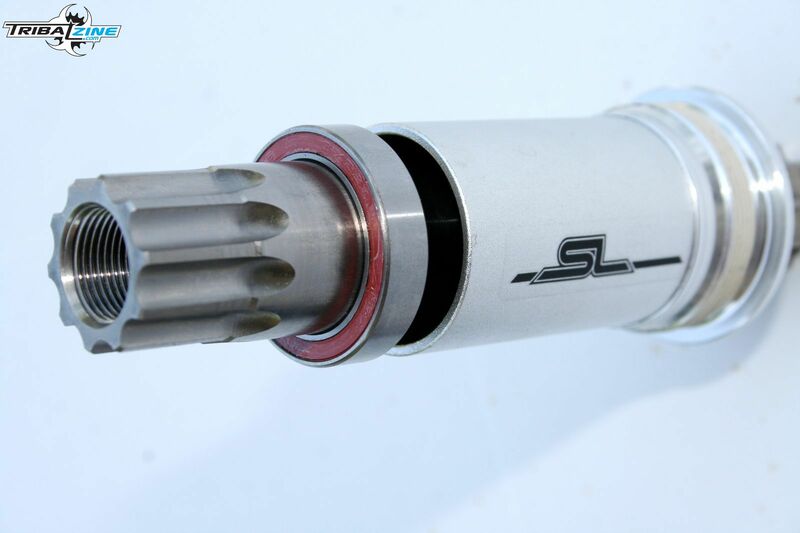 The cups on the Reset feature black seals to prevent dust from getting into the gap between the cup and the axle, something that the SL BB does not have; the bearings are visible if you look down the line of the axle. 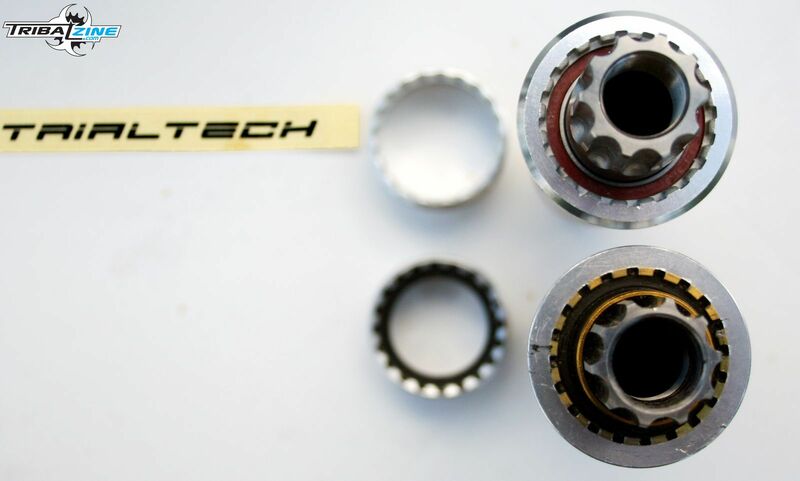 Having said that, the SL bearings are completely sealed, so there’s no need for additional sealing (or maintenance). Fitting the BB is pretty straightforward - it’s the same method as for most ISIS BBs. The only things you need to be careful of really are making sure the top hat spacers are fitted the right way round (wide end out) and using the right bolt for tightening the cranks. 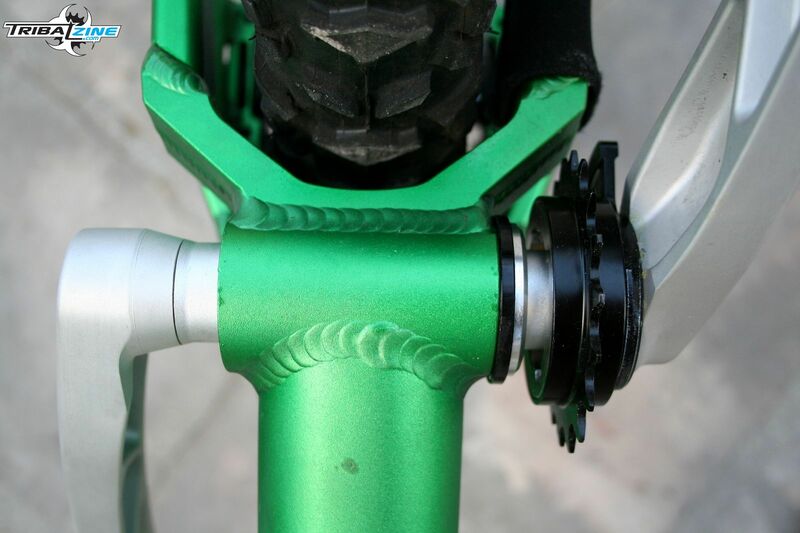 Here’s the result when the BB is fitted with the SL ISIS forged cranks - the two elements marry up perfectly, with the top hat spacers beautifully matching the taper of the crank. The ISIS splines are no longer visible and the crank/BB interface almost looks like a single unit, a really nice take on the classic ISIS interface. We like it! NB: On our test bike we’ve mounted a spacer in between the BB and the frame, but that is down to the build of the bike and nothing to do with the BB itself. In the field the BB performs exactly as you would expect a BB of this standard to perform; there’s no discernible difference between the SL and the Reset in terms of performance, they’re in the same league. We were very satisfied to find a well-finished product, supplied with all of the accessories you’d ever need for easy fitting and maintenance. 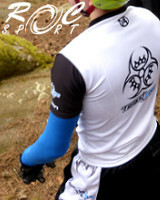 It goes exceptionally well with the SL ISIS forged cranks, forming a perfect unit that is an absolute must of the genre. It’s a BB that combines a feather weight and production quality with a refined and top-end aesthetic. 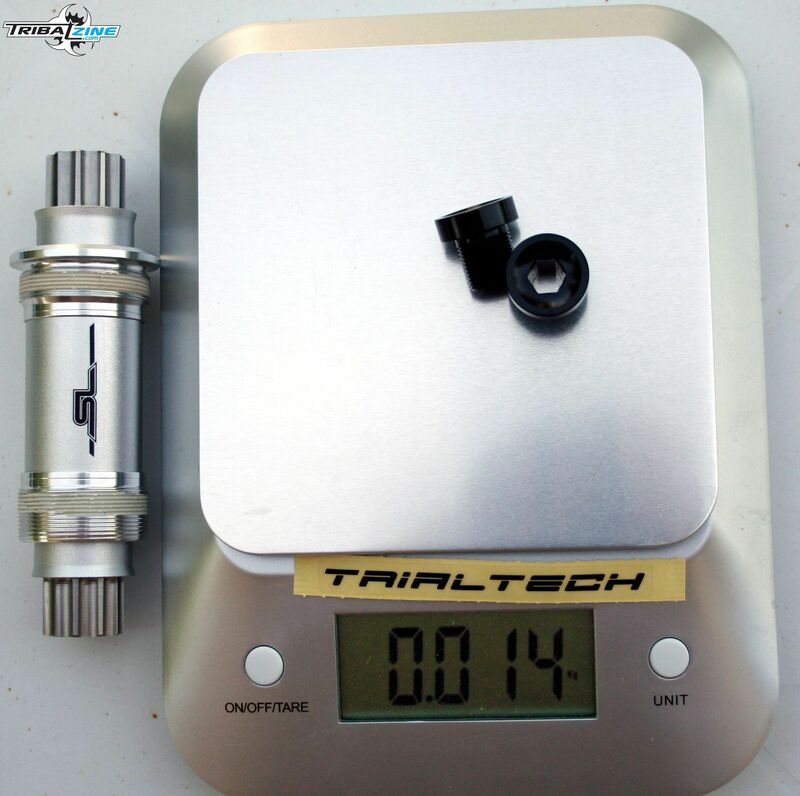 It’s nothing revolutionary, but its a well-thought-out product that will satisfy even the most demanding of customers and demonstrates how seriously Trialtech take the development and design of their components! And how much will one of these beauties set you back? 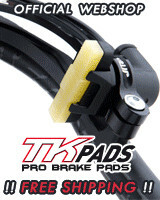 The price is more-or-less the same and the Reset, and you can pick one up from any of your local Trialtech dealers. 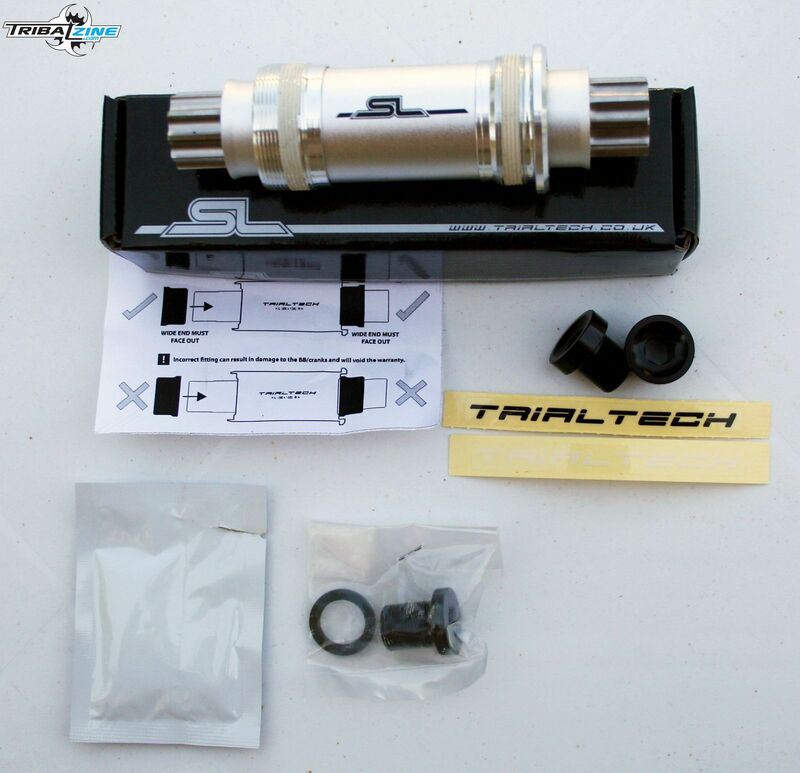 Les manivelles Trialtech SL au banc d’essai ! 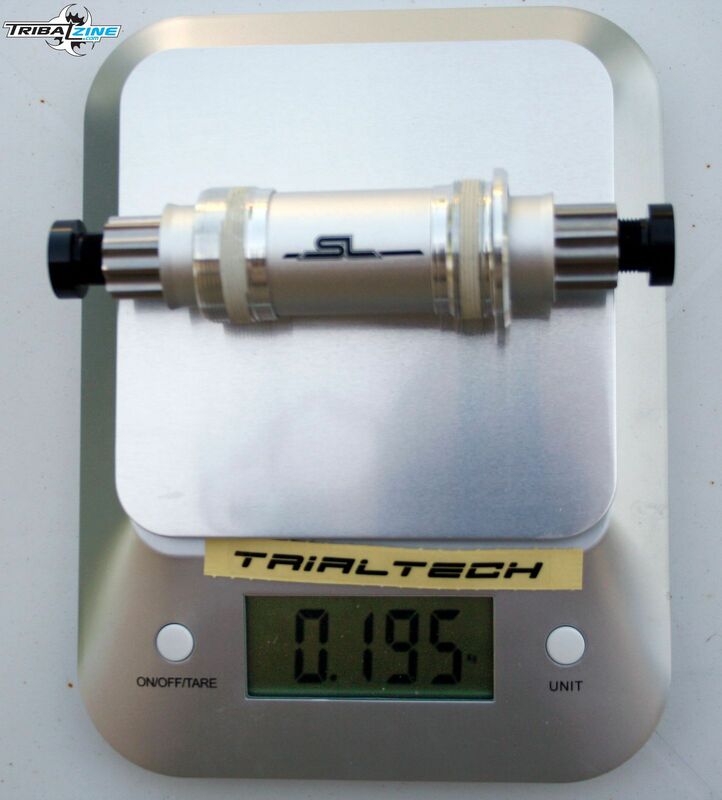 Las bielas Trialtech SL al banco de pruebas ! Trialtech nous a présenté il y a trois mois ses nouvelles manivelles estampillées "Super Light". Les voici aujourd’hui sur le banc d’essai de Tribal Zine : notre expert matos Greg’ Soignon vous dit tout sur cette nouveauté britannique ! L’Inspired Skye sur le banc d’essai de Tribal Zine ! Partie 1 : exploration ! Alors que le Danny MacAskill s’apprête à faire son grand retour sur nos écrans au guidon d’une nouvelle évolution de ce vélo, l’équipe de Tribal Zine te propose un essai sans concession de l’Inspired Skye. Partie 1 : exploration de l’Île de Skye, avant de lâcher les tricks ! L’Inspired Skye sur le banc d’essai de Tribal Zine ! Partie 2 : action ! Tribal Zine tests the Inspired Skye! Part 2: action! Crash-test Koxx Kloud 3/3 - Kloud 20 : facile et performant ! Suite et fin de notre crash-test du dernier-né de chez Koxx, le Kloud : le Kloud 20" est mis à l’épreuve sur le grès de Buthiers par notre équipe et se révèle d’une facilité de prise en main surprenante... Easy Rider ! 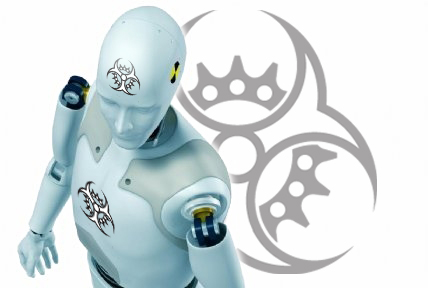 Crash-test Koxx Kloud 2/3 - Kloud 26 : long mais bon ! Crash-test Koxx Kloud 1/3 - Les nuages à la jumelle ! L’équipe de Tribal Zine met sur son banc d’essai le "compétiteur UCI" de chez Rockman : le Slate XL, testé dans ses deux évolutions, avec deux configurations d’équipement différentes. Séquence présentations ! La gama Jitsie "Airtime" a revisión ! La suite du crash test des bikes champions du monde... Après le Sky 2 26" de Gilles Coustellier, c’est aujourd’hui le Sky 2 20" de Benito Ros qui passe sur le banc d’essai de Tribal Zine !